Culver Epps, director at Cox Freeman, tells BIM+ how BIM software has transformed the way the practice works, helping them expand their business into new markets and effortlessly deliver ever-more complex projects. We specialise in architecture for the food manufacturing industry. More than 35 years ago, our first client was a food manufacturer. Now, 90-95% of our business comes from the food sector, with a balance between refurbishments and new-builds. Food manufacturing in the UK is a highly competitive, fast-paced industry. Our clients supply all the major supermarkets and have to act very fast to keep ahead of the competition. When they win a new contract to supply products to one of the supermarkets, they need to be able to meet that uplift in demand. 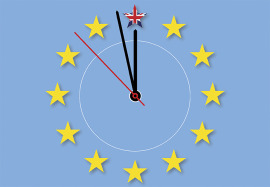 In turn, we need to respond very rapidly to their changing requirements. Why did you make the move to BIM? Up until five years ago, we were working in 2D. While food manufacturing plants may look like large sheds from the outside, inside they are incredibly complex spaces. They are full of processing equipment, multi-layer conveyor belts, drainage points, waste management systems, refrigeration units, extraction pipes etc. To help us better tackle designing for these difficult spaces, we decided to invest in BIM and associated software. 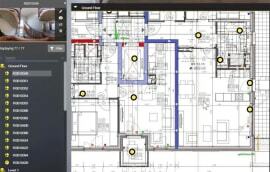 We opted for Graphisoft’s ArchiCAD for our BIM authoring tool because we could see how the software would help us achieve the goals we identified for ourselves during our implementation process. Developing a template for ArchiCAD has been incredibly valuable and now forms a vital part of our offering. It enables us to have full confidence in the information we deliver to our clients and helps us deliver work much faster and to a greater standard. Our clients love that we now work in 3D. 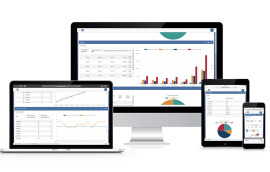 We regularly use Graphisoft’s mobile presentation app, BIMx, which really helps to visualise and communicate our designs to clients. The software is head and shoulders above anything else we’ve seen being used in the food industry. 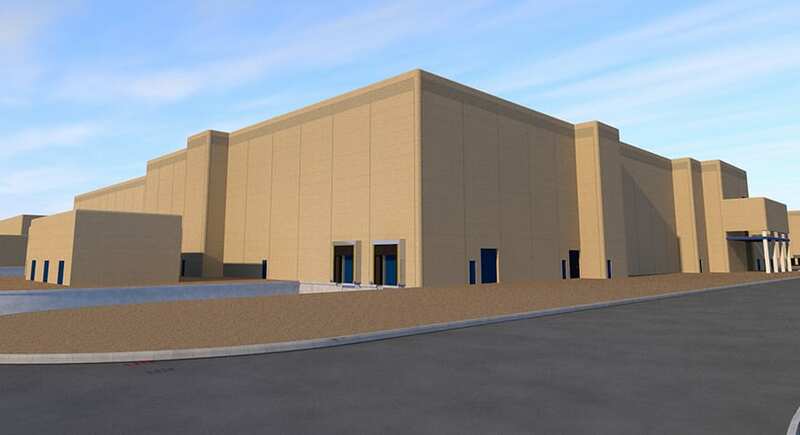 Soon after we invested in BIM, we won a contract to design and build a dairy and a juice plant in Saudi Arabia. We worked closely with the contractor to deliver a turnkey solution for the facilities, which included an associated refrigeration plant the size of a football pitch. ArchiCAD delivered instant efficiencies on this project. On a previous project for the same client, working on a single building of comparative size in 2D resulted in everyone in the office working on the project. After implementing ArchiCAD, we were able to complete the work on both buildings with just two directors and two other team members working part time on each building. You often work with point cloud data. Tell us more about that. We recently worked with another client to refurbish a vast food processing factory. When we first visited the site, we found that the service area above the main factory housing the M&E, extraction and temperature control was both huge and complex. We realised we couldn’t easily draw the site and started to look at surveyors capable of providing 3D deliverables. 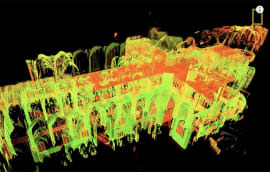 We worked with Murphy Surveys, which provided a full laser scan of the building, model information and some 360° photo captures. All elements proved vital due to the amount of information we needed to capture. Murphy Surveys supplied model information in both ArchiCAD and IFC format, which meant we could directly import into the software. We also received the data in TruView format, which was very useful for everyone working on the project, and provided value to the contractor even as the project approached completion. Commissioning the survey and associated deliverables was the best decision we made on this project. It gave us so much confidence in our designs and we felt safe in the knowledge that nothing would be missed. Are you working at BIM Level 2? To date, we haven’t been asked by our clients to deliver a BIM Level 2 project, but we are working towards that goal, attempting to add data to elements in our models in line with the NBIMS (National BIM Standards) and BS 1192-4. Quantity surveyors we work with are becoming more interested in BIM workflows at the moment, especially in terms of how they can interface with our systems. 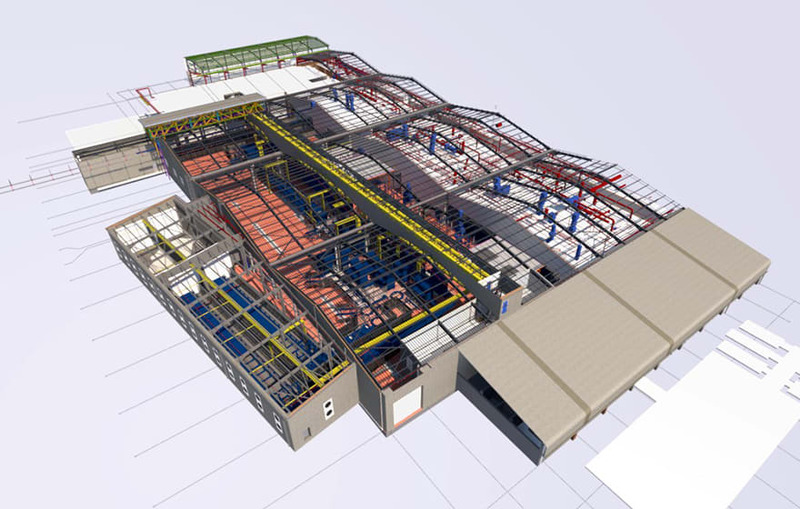 Eventually, we anticipate that the BIM model will become an invaluable tool for our clients, to help them with their longer-term facilities and asset management. Do you find it frustrating that your clients are yet to embrace BIM? It can be at times. But eventually we hope clients will see the value that BIM can bring and will consider this from the outset when assembling project teams and defining information requirements. 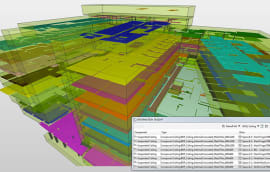 What are you doing to try to convince clients of the benefits of BIM? 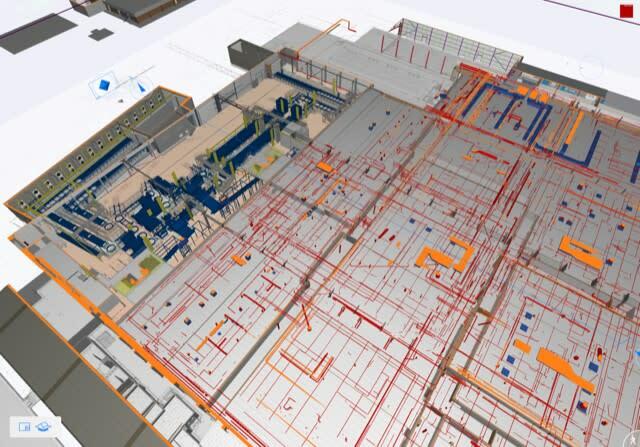 Many new clients in the food industry are initially unaware of BIM and its benefits. However, when we work with repeat clients and project teams we see an increasing understanding of BIM and collaborative processes project to project. We appreciate that there is a lot to digest and we try to gradually educate our clients and project teams to fill gaps in knowledge where they arise. Eventually we hope clients will start requesting that projects are delivered to BIM Level 2, but realistically we feel that this is still a fair way off within the food manufacturing industry. Providing assistance in capturing and defining clients’ information requirements from project to project is a step towards this goal. Longer term, what do you think the main benefits of BIM will be, both for your practice and the food manufacturing industry as a whole? The main benefits will be greater consistency in project information and increased coordination on site between traditional construction teams and client specialist process equipment manufacturers. Currently, regular changes to process equipment can have a detrimental effect on longer-term construction projects, whether that be recently installed drainage elements, wall locations, floor products etc. To make matters more complicated, the impact of new process equipment is often not obvious on 2D floorplans. For example, a complicated multi-storey conveyor system might give the illusion of a clash with a door, but this may not be the case if conveyors are installed at high level. The equipment is usually designed in 3D software but only provided to the client in 2D, so we are lucky if we are provided model information for process equipment. This is a by-product of the speed in which our clients are responding to their own industry challenges, and of process equipment that needs to be installed while a facility remains operational for production. But as we get greater coordination and consistency across project information, these problems should start to disappear. How are you using the software to improve your productivity? We work in a specialist industry, so we’ve created our own BIM objects within ArchiCAD. It has taken time to develop these, alongside our template, but now the whole team enjoys working with the software. As we use many of the bespoke elements of ArchiCAD, we worked closely with the Graphisoft support and training team in Nottingham, who helped us get everything set up. Once our BIM Manager, Allan Smithson, had developed our template, it made the transition for the rest of the team much easier. Every project is set up in Teamwork and people can work from home with the same functionality as working in the office. Working in ArchiCAD is now second nature to our team, which is testament to the way the software is set up. We couldn’t deliver the same projects to the standard we do now without ArchiCAD. It has had a hugely positive impact on our productivity and we’re confident we can produce an increased level of information and value for our clients quickly and efficiently. Architecture is very challenging from a fee perspective, but ArchiCAD helps to give us a marketable edge.